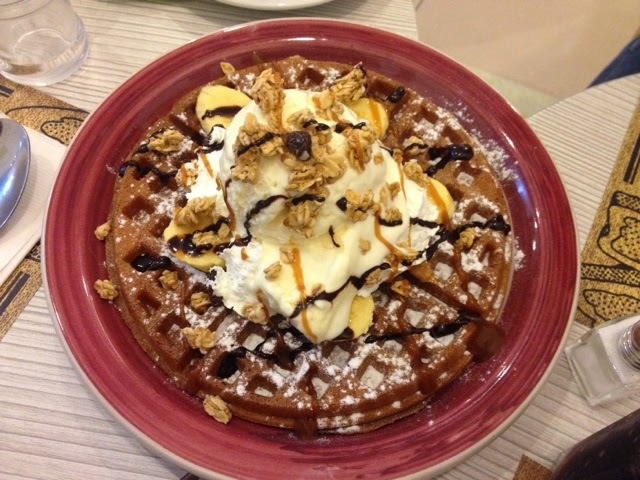 Food Escapade at Wicked Waffle | Vanity and Everything in Between. I love breakfast and I think everyone loves breakfast, too! I just never get tired of breakfast food. Sometimes, I even crave for it! So, let's move on with our orders! Longganisa - I think this is the Pampanga longganisa! I love this. I haven't had longganisa for a while so I was really stoked when I had this for brunch! Basta, it's masarap! 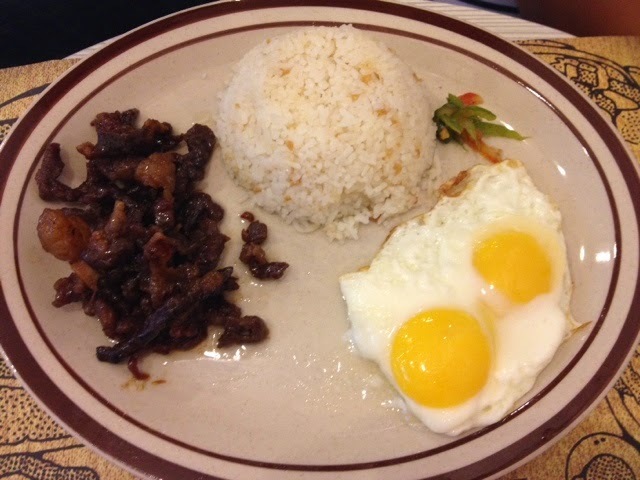 Beef Tapa - Lawrence's order. He liked it. It's good too but I find it a bit hard, not exactly gummy. But hey, it's tasty! 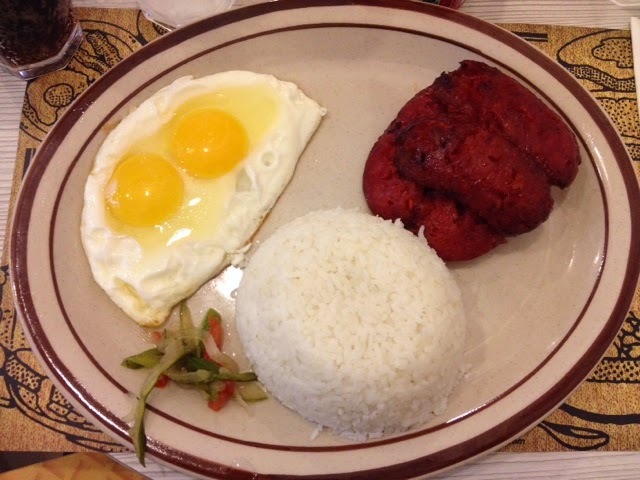 All Filipino Breakfast - Mom's order. She didn't now what to order and she's not a breakfast person at least not for Filipino food. She didn't like the adobo flakes. The rest was tasty! Chunkee Monkee - We just had to order waffle! After all, it's called the Wicked Waffle This is sinfully good! There's banana, nutella and almonds! The prices of their meals are reasonable. 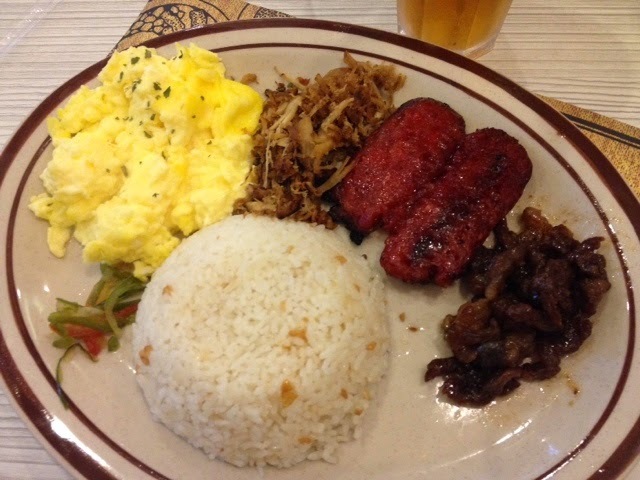 I think the most expensive order we had was the All Filipino breakfast for PhP220. The rest is less than PhP200! I will definitely come back here but I hope they branch out in Makati or somewhere nearer. I'm not sure as how to many branches they have but Wicked Waffle is also owned by the owners of Bon Appetea. One bummer though is that they do not accept credit cards so make sure you have cash on hand when you dine in. 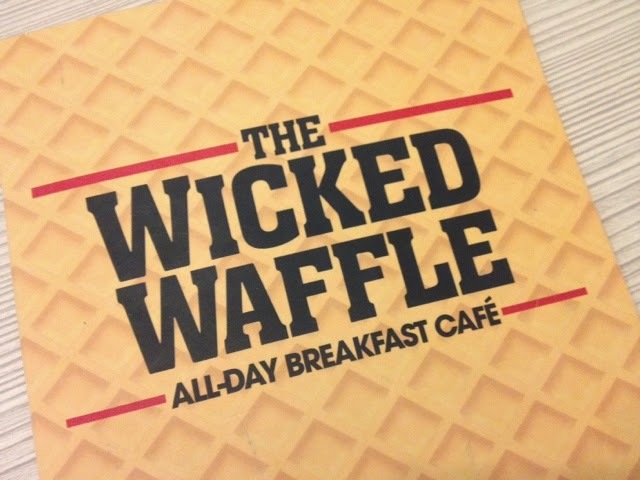 Wicked Waffle is located on the 4f of SM Manila.